JERSEY CITY, N.J. – The Shuster Group announced today that The Art House luxury rental building in downtown Jersey City is more than 80% leased, with nearly 100 of the 119 stylish new residences now spoken for. 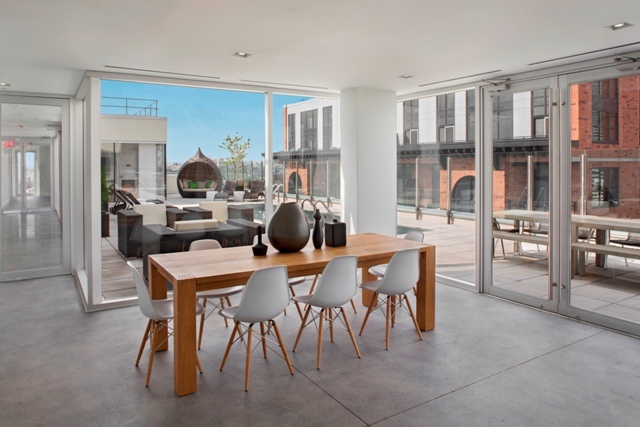 The impressive leasing milestone, achieved by Exclusive Leasing Broker Natalie Miniard of JCity Realty and her team of leasing agents, was accomplished less than three months after the fully-amenitized, 12-story building officially opened to the public in Jersey City’s Powerhouse Arts District. Offering a collection of stylish residences with condo-level finishes and dramatic indoor and outdoor amenities that inspire social interaction and a genuine sense of community, The Art House has delivered an engaging new lifestyle experience that is being embraced by today’s creative types and urban enthusiasts. The appeal of The Art House is clear: modern residences with upscale finishes and appointments, an exciting suite of amenities and services and a location just steps from neighborhood cultural and nightlife attractions and convenient public transportation to Manhattan. Located at 148 First Street, The Art House was designed by Fogarty Finger Architects and LWDMR & Associates to integrate modern design into the historic and arts-inspired fabric of the building’s Powerhouse Arts District location. The building’s welcoming entrance leads to a contemporary, intimate lobby with a doorman to greet residents and guests. 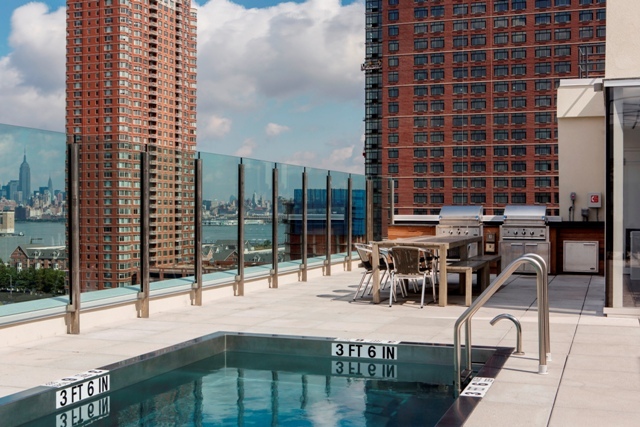 Hotel-like amenities include a rooftop pool and sundeck offering dramatic views of the Manhattan skyline, a lounge, state-of-the-art fitness center, yoga room, kids’ room, party room and a bike storage room. Design distinction extends to The Art House’s collection of well-appointed residences which feature studios priced from $2,375 and one bedrooms from $2,600 a month. A select number of one- and two-bedroom garden residences with direct access from private terraces are also available, as well as top floor Penthouses. Three-bedroom residences are priced from $4,495 a month. Immediate occupancy is available. The Art House is located within the Powerhouse Arts District which provides access to an eclectic mix of coffee houses, bars and restaurants in Jersey City’s Restaurant Row. The Art House is 10 minutes from downtown Manhattan via PATH trains and ferry. The Hudson Bergen Light Rail system offers rail service up and down the waterfront and into bordering neighborhoods. For more information on The Art House, call (201) 332- 2449, or visit http://www.TheArtHouseJC.com. JCity Realty is the exclusive leasing broker for The Art House.